The newly opened 800 South is 99 percent occupied, according to the property manager. A new apartment complex developed by the family behind Enterprise Commercial Group LLC is nearly full less than a month after opening. 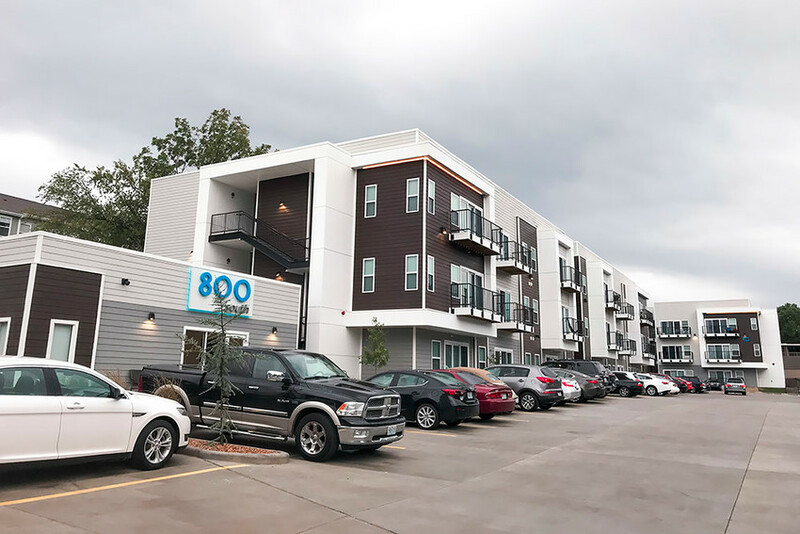 Rick Shortt, director of sales and marketing for apartment manager Affiniti Management Services, said the complex dubbed 800 South is 99 percent occupied, with one unit available of the 108 built. The apartment complex, 830 S. Robberson Ave., is south of Jenny Lincoln Park between South and Jefferson avenues. It opened Aug. 3. Shortt pointed to amenities including Amazon Locker, which allows residents to pick up packages at their convenience with a text-message code, Peloton bikes in the fitness center and trash service three times per week. A news release also cited international influences, noting the development was modeled after projects in Thailand. 800 South sits on eight lots Enterprise Commercial Group purchased four years ago. The Williams family’s Burning Tree Consulting served as project developer, with H.C. Rogers Construction Group LLC as general contractor and Buxton Kubik Dodd Design Collective as architect. The developers also are aiming to help revitalize the area west of Missouri State University with the project. Titus Williams, co-owner of Enterprise Commercial Group, pointed to the “broken windows theory” when describing 800 South. “The quality of housing in a neighborhood has a great effect on crime and poverty. The lack of quality, affordable housing keeps people in a socioeconomic mind frame that will never improve. When a landlord doesn’t care about a broken window, lack of heat or other maintenance issues, it becomes difficult for a person to care about someone else or the neighborhood’s well-being,” Williams said in the release. “If developers/owners care for their properties, great things happen for that neighborhood. It takes the entire neighborhood to make a difference. Officials are scheduled to host a ribbon-cutting ceremony for 800 South on Aug. 30. Enterprise Commercial Group is a newly formed company that includes the NAI Enterprise brokerage division. Titus Williams’ brother Phil is behind The Ridge at Ward Branch, a more than 90-acre, $500 million planned development on South Campbell Avenue, according to past Springfield Business Journal reporting.